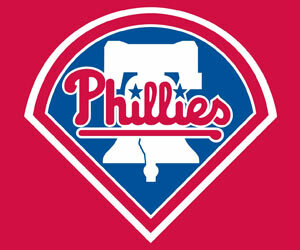 Philadelphia Phillies – Team History: 90 + wins. In the team’s 128 years history, the Phils would win 90 games or more only fourteen times. The team has won 100 games or more only twice in its history, as they would win 101 games twice. The first time occurred in 1976, when the team would win 101 games, losing only 61, as they would win the first of three straight NL Eastern Division titles, before losing to the World Champions Cincinnati Reds 3-0 in the NL Championship Series. They would duplicate that record the following year, 1977, as they would win their second straight NL Eastern Division crown, before falling to the Los Angeles Dodgers in the NL Championship Series, 3-1. Their third highest victory total would be 97 games, which they would do twice. The first time would occur in 1993, when they would unexpectively win the Eastern Division that season with a record of 97-65, then win the NL title by defeating the National League Champions Braves in the NL Championship Series, 4-2, before finally falling to the World Champions Toronto Blue Jays in the World Series, 4-2. They would then duplicate the record this year as they would win their fourth straight NL Eastern Division crown, the first time that they would do that in the team’s history, before defeating the Cincinnati Reds in the NL Divisional Series, 3-0, and then losing to the San Francisco Giants in the NL Championship Series, 4-2. The fifth best team was the 1899 Phillies, who finished that season in third place with a 94-58 record, the team’s best record for the 19th Century, ending up nine games behind the first place Brooklyn Superbas. The sixth best team was the 2009 team which finished with a record of 93-69, winning the team’s third straight Eastern Division title, doing so for the second time in the team’s history, before defeating the Colorado Rockies in the Divisional Series, 3-1, then beating the Dodgers in the NL Championship Series, 4-1, winning the team’s second straight NL title, doing so for the first time in the team’s history, before losing their World Series crown to the American League Champions New York Yankees in the World Series, 4-2. The next two teams ended up with identical records of 92-70, giving them both the seventh best winning total. The first one was the 1964 team, the one that had the most infamous late season collapse in baseball history, until the Mets team of 2007. That team would end up being tied for second place with the Reds, a game behind the St. Louis Cardinals. The other team to win 92 games was the 2008 Phils, who would win their second straight Eastern Division title, before defeating first the Milwaukee Brewers in the NL Divisional Series, 3-1, then the Dodgers in the NL Championship Series, 4-1, and then the American League Champions Tampa Bay Rays in the World Series, 4-1, winning the team’s second World Championship. The team with the ninth best record was the 1980 Phils, who ended the season with a record of 90-72, finishing first in the Eastern Division, before first defeating the Houston Astros in the NL Championship Series, 3-2, then defeating the American League Champions Kansas City Royal, 4-2, winning the team’s first World Championship. The tenth best team was the 1916 team which ended the season with a 91-62, finishing in second place, two and a half-games behind the Brooklyn Dodgers. The eleventh team to win at least 90 games was the 1950 ‘Whiz Kid’ who won the pennant in 1950 with record of 91-63, only to lose the World Series to the World Champions Yankees, 4-0. The twelfth team was the 1915 team, which won the Phils’ first National League pennant with a record of 90-62, only to lose the World Series to the Boston Red Sox, 4-1. The final two teams would end up with identical records of 90-72. The first one was the 1978 team, which won the National League Eastern Division title, the third straight for the team, doing so for the first time in the team’s history, before losing the NL Championship Series to the National League Champions Dodgers, 3-1. The fourteenth, and final team, with 90 or more wins, was the 1983 team, nicknamed the ‘Wheeze Kids’, who would win the NL East, then defeat the Dodgers in the NL Championship Series, 3-1, before losing the World Series to the American League Champions Baltimore Orioles, 4-1. Will the 2011 team become the fifteen team to win 90 games or more? Maybe, maybe not, but we won’t know for sure until next year comes and goes. Former Phillies’ manager Danny Ozark passed away today, age 85. The Phillies had a few hours ago announced the passing of former Phillies’ manager, Danny Ozark. Danny Ozark, who ranked third for most wins among Phillies managers, died this morning at his home in Vero Beach, Fla. He was 85 years of age. Mr. Ozark was named the Phillies manager on November 1, 1972. In his first five years, the Phillies won 71, 80, 86, 101 and 101 games. They won three consecutive National League Eastern Division titles starting in 1976, a record unmatched by any other Phillies manager. Each year, however, the Phillies missed on advancing to the World Series. Mr. Ozark finished with a 594-510 record as Phillies manager (1973-79). His winning percentage of .538 is seventh-best in team history. He was named Manager of the Year in 1976 by the Associated Press and The Sporting News. Mr. Ozark began his pro career as a first baseman in the Brooklyn Dodgers system in 1942. Following a minor league career, he turned to managing in 1956, with the Dodgers’ Class B team in Wichita Falls. Nine years later Mr. Ozark joined the Los Angeles Dodgers as a coach. After leaving the Phillies, he returned to the Dodgers as a coach (1980-82). His career ended with the San Francisco Giants as a coach (1983-84) and their interim manager in 1984 (24-32). Born Daniel Leonard Orzechowski on November 24, 1923, in Buffalo, N.Y., he married Ginny Zdinski. The couple celebrated their 60th wedding anniversary in February. In addition to his wife, Mr. Ozark is survived by two children, Dwain and Darlene; three granddaughters; and four great-grandchildren. His hobbies included golf and following the Phillies. He was an active golfer in charity events conducted by the Major League Baseball Players Alumni Association. And another ex-Phil goes to that red pinstriped heaven in the sky. My condolences to Danny’s family. And thanks, Danny, for helping make the Phils into a contender instead of the laughing stock of baseball back in the mid-70s. Philadelphia Phillies – Awards: Singles Champions. In 126-years as a member of the National League, the Phillies have won twenty singles titles. Eleven Phils have won the title, with five of them doing it multiple times. The first Phil to win the singles title was Hall of Famer Billy Hamilton, who, in 1890, ended up in a tie for first place with Cliff Carroll of the Chicago Colts (now the Cubs), with each men hitting 137 singles. Hamilton then won the title outright in 1891-92 and 1894 with 147 (1891), 152 (1892) and 176 (1894) singles each. The second Phillie player to win the title, the fifth to be won by a Phil, was Eddie Grant, who won it with 147 singles in 1909. In 1910, Grant won his second straight singles title by hitting 134 of them that season. The next Phil to win the singles title was Beals Becker, who hit 128 singles in 1914. The fourth Phillies player to win the tile was Lefty O’Doul, winning it in 1929, in a tie with Hall of Famer Lloyd ‘Little Poison’ Waner of the Pittsburgh Pirates, with each man getting 181 singles, presently the Phillies’ record for the most singles hit in a season. The fifth Phil to become the singles champ was Chick Fullis, doing it in 1933 with 161 singles. Eddie Waitkus became the sixth Phil to win the singles title, helping to lead the Phils to their second National League title in 1950, by hitting 143 of them. The following year, 1951, Hall of Famer Richie Ashburn won the first of his four singles championships, as he hit 181 singles, in the process tying Lefty O’Doul’s record. He won his second singles title, hitting 169 singles in 1953, then won his third title in 1957 with 152 and then his fourth and final title the following season, 1958, with 176. The next Phil to win the title was Dave Cash, who won it with 167 singles in 1974, then won it for the second straight year with 166 singles in 1975. Three years later, Larry Bowa became the ninth Phil to win the title as he hit 153 singles in 1978, the year the Phils won their third straight National League Eastern Division title. Pete Rose, the following season, became the tenth Phils to win the title, as he hit 159 singles in 1979. Rose won his second singles title as a Phillie player by hitting 117 singles in the strike-shortened season of 1981. The eleventh and final Phil to win the singles title was Doug Glanville, doing it in 1999 with 149 singles. No Phillie player has won the title since then. Of the twenty singles titles won by the Phils, almost half of them, eight, has been won by two Hall of Famers, Billy Hamilton (4) and Richie Ashburn (also 4). Three other Phils have won two titles each, Eddie Grant, Dave Cash and Pete Rose. Two Phils have won the title tied with another player, Hamilton in 1890 and Lefty O’Doul in 1929. The Phils to have hit the most singles to win the title were O’Doul (1929) and Ashburn (1951) with 181, which is still the Phillies’ record for most singles in a season. The Phil to have won the title with the least number of singles was Pete Rose with only 117 in the strike-shortened season of 1981. The Phillies have won four singles titles in the 19th Century, sixteen in the 20th, and, so far, none in the 21st Century. Who will be the next Phils to win the single titles? At this time, I really have no clue who might win it.